“Rock’n’Roll Dreams came True" is a powerhouse performance about the life of the iconic legend Meat Loaf and the music of the maestro Jim Steinman, the man behind the musical masterpieces. 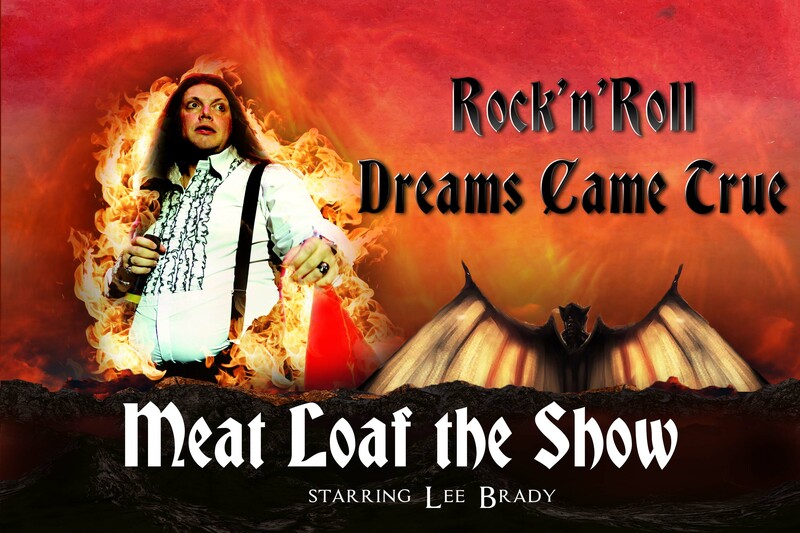 Lee Brady dominates the stage with all of Meat loaf’s vigour and power and with the help of an exceptional 8-piece live band this show recreates the Bat Out of Hell experience! Including hits such as Dead Ringer and I Would Do Anything for Love, along with Steinman classics such as What Part of My Body Hurts the Most and Total Eclipse of the Heart, this show ticks all the boxes. Performed with all the power and musicianship of the original Neverland Express Band, you'll be transported back in time evoking the memories of this incredible music. Including costume changes, set, projections and dancers, plus all of the classics, Paradise by the Dashboard Light and the incredible Bat Out of Hell. Headlining the North Pier every Saturday night throughout August, if you’re a fan of Meat Loaf or Jim Steinman, this show is not to be missed!